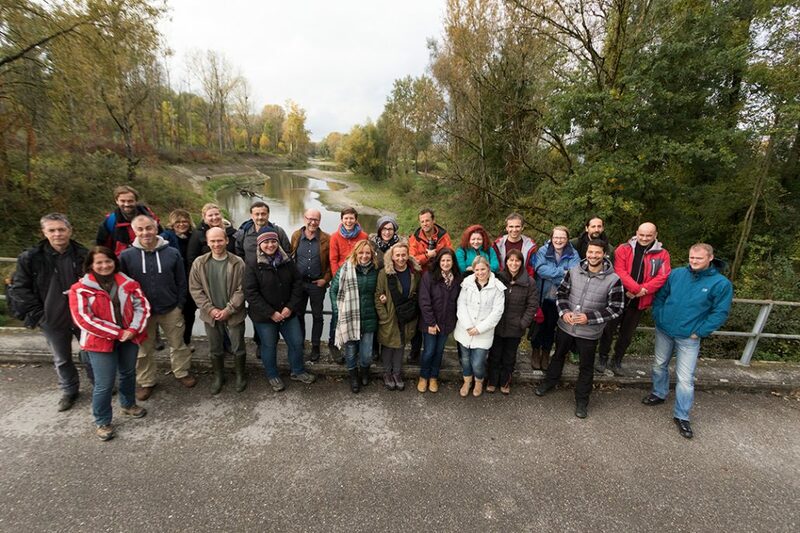 Austria – Last week partners in the DRAVA LIFE project visited the upper flow of the Danube River in Austria, where they were acquainted with 20-years’ experience of implementing EU LIFE river restoration projects. Continued work on improving degraded ecosystem of the Danube, which occurred due to the construction of hydroelectric power plants and maintenance of waterways, have significantly improved the ecological status of the Danube and its tributaries in Austria and stopped the trend of declining numbers of fish and birds, enabled the return of endemic species to the area and improved the flood protection, which is also the goal of the project in Croatia. Representatives of Croatian Waters, Ministry of Environment and Energy, Green Osijek, public institutions for management of protected natural values along the Drava river and WWF visited five locations of the EU LIFE+ projects along the Danube. During the 20 years of implementation of the LIFE projects in the region of Lower Austria, where the majority of revenues is made through tourism and wine-making. By working together local communities, NGOs, energy sector and agency for waterways managed to restore about 100 km of the Danube flow, restored old sidearms, oxbows and gravel islands, and re-connected the main stream with its tributaries and floodplains. These actions have repaired the damage caused by hydropower plants upstream and downstream and managed to recover the biodiversity of the area, and thus increase the tourist value of the whole region. On the first day partners visited the area of a large project of restoration on the river Traisen, which was previously cut off from its floodplains and the main flow of the Danube because of the construction of hydropower Altenwörth. The project built 12 km of a completely new river bed, through which the river Traisen was reconnected with its floodplains and the Danube. On the second day they visited the Wachau valley, known for its wines and apricot products, where several sidearms and natural banks were restored, several new river islands were created and gravel management was improved. The last day partners visited the longest European fish pass in the length of 14.2 km, which allows the fish to migrate past Ottensheim-Wilhering hydropower dam on the Danube. Although the fish pass opened only two months ago, fish monitoring shows that it is extremely successful and it is used by a growing number of fish not only for migration, but also for reproduction. “The greatest benefits of these demanding river restoration works, except the obvious improvements of ecological and biological condition of the river system, have local communities and sectors of navigation, tourism, water management and energy, who use the water resources undisturbed. A multidisciplinary approach and involvement of all relevant stakeholders and competent state bodies has been developed and provided a high level of mutual trust that has resulted in a substantial reduction of administrative procedures such as obtaining location and building permits and impact assessment studies, which led to the successful implementation of a series of projects that are being implemented for 20 years,”said Zdenko Kereša, project manager in Croatian waters. 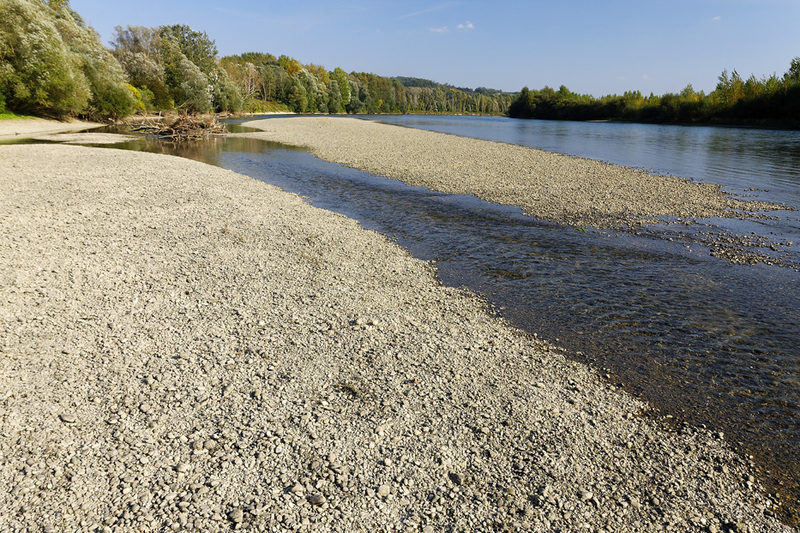 River ecosystems are among the most endangered ecosystems in Europe and the Drava River is no exception. As many as 22 hydropower plants in Austria, Slovenia and Croatia intersect Drava and left only a short section of free flowing river in Croatia. The aim of the five-year project DRAVA LIFE – integrated river management is to restore the river characteristics and degraded ecosystems to achieve the objectives of the EU Water Framework Directive and Natura 2000. During the project partners will renovate and create 1,000 meters of dynamic river banks, 13 hectares of new dynamic river zones with gravel, sand and clay banks, 14.5 kilometers of sidearms and improve 300 hectares of floodplain forests. “The exchange of experiences between LIFE projects is an integral part of project activities within the LIFE program in Europe. In addition to connecting many experts, we also learn about examples of good practice, which can be applied not only in the implementation of projects but also in the daily work of the institutions involved. This visit to LIFE projects in Austria is very beneficial for our project, we learned about the activities that we will conduct ourselves during the next four years and we opened various new, yet unknown, possibilities of improving the ecosystems of the river Drava,” said Branka Španiček from WWF Adria .